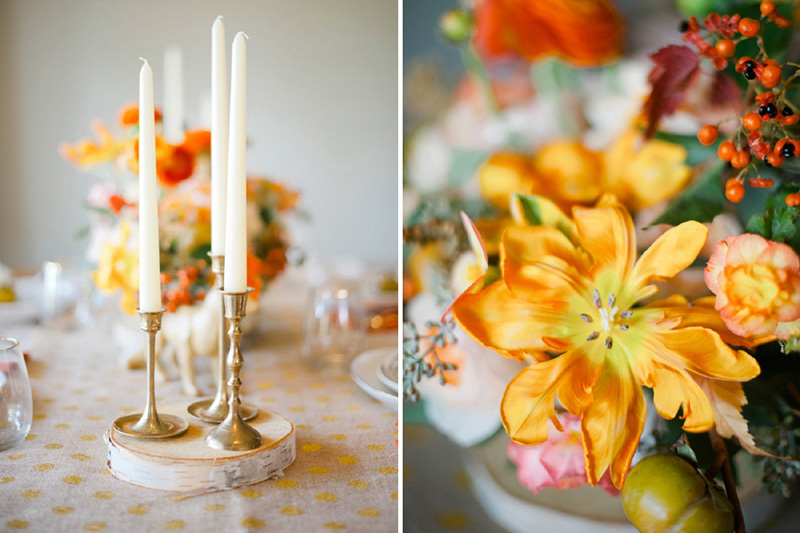 This was a festive and colorful photo shoot designed by the girls over at Confetti Pop and photographed by Melissa Oholendt. 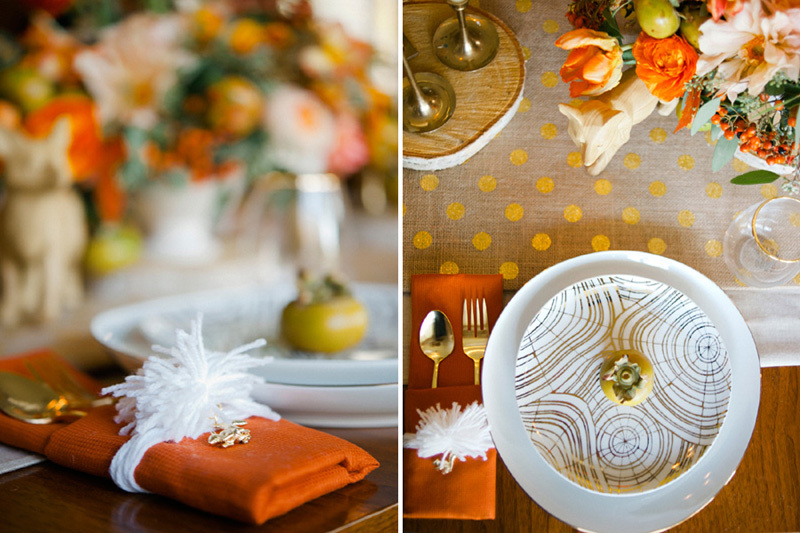 A blend of bright oranges, a touch of gold metallic, amber wood tones, and textural autumn goodness are the perfect palette for a Thanksgiving celebration. 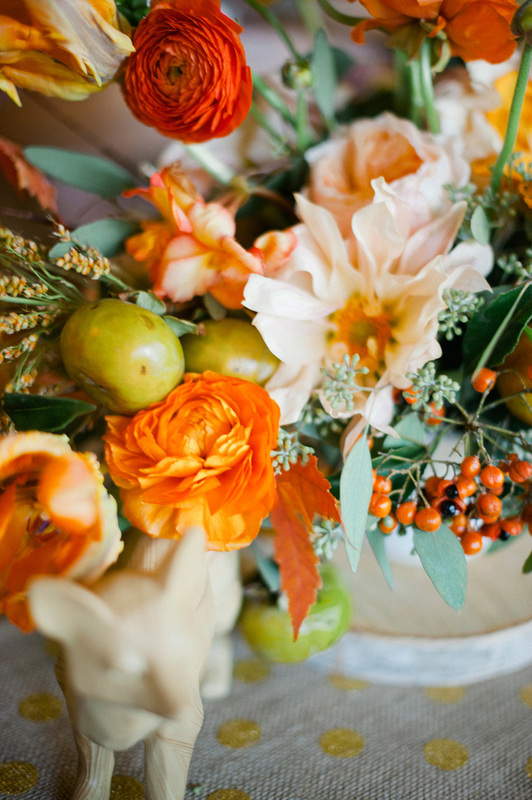 The seasonal blooms I included here were café au lait dahlias, peach garden roses, berries, orange parrot tulips, grasses, ranunculus, local amur maple branches and persimmons. 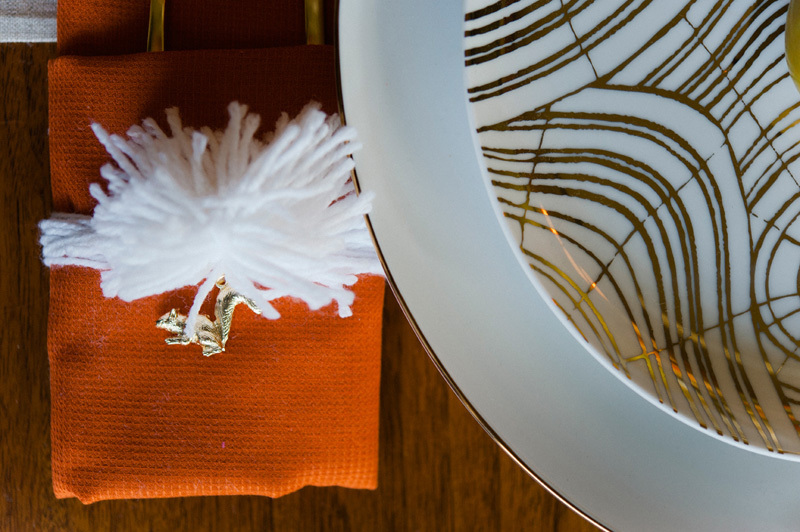 Confetti Pop is rolling out some great DIY tutorials for these entertaining décor ideas. 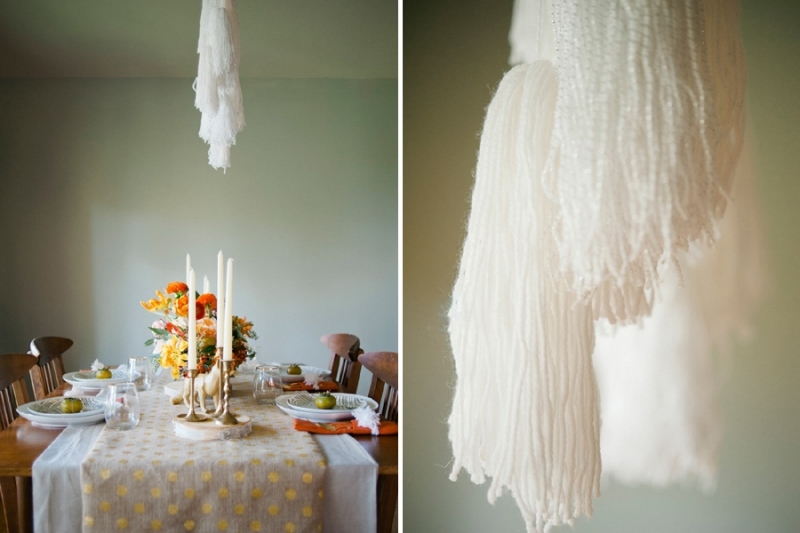 Make sure to visit their website for inspiration on a yarn tassel chandelier and pom pom napkins and more! 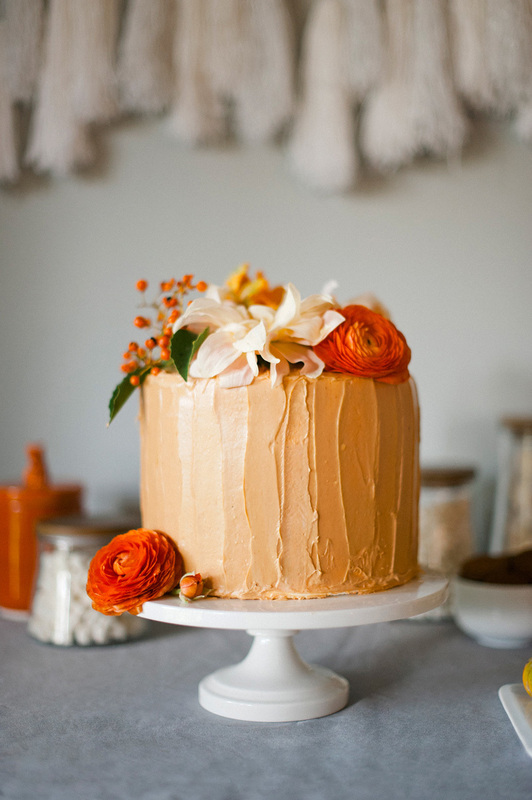 Thank you to Cyd over at The Sweetest Occasion for posting this inspiration shoot today!